The year 2015 was highly significant in relation to global convergence on ways forward towards achieving sustainable development at local, national, regional, and global levels. Global leaders reached four groundbreaking agreements that year, the first of which was the Sendai Framework for Disaster Risk Reduction 2015-2030, the first major agreement crucially important in the context of the post-2015 development agenda. Then in July came the Addis Ababa Action Agenda on Financing for Development, which has dealt with how finances can be mobilised for global sustainable development. In September, the world leaders adopted the ‘2030 Agenda for Sustainable Development’ with 17 goals, known as Sustainable Development Goals (SDGs) 2030. The other momentous development was the signing of the Paris Agreement on climate change in December that year. Not that everyone will agree with the contents of these agreements and certainly there are deficits in each in relation to what needs to be achieved, but these documents provide a strong basis to moving forward. Of these, the SDG 2030-Agenda essentially integrates the core objectives of the other three agreements along with other relevant issues, and focuses on the inclusion of everyone in the development process, with particular emphasis on gender equality (Goal-5) that men and women must be equally endowed with opportunities and facilities. This is a key Goal that catalyses actions to carve out an appropriate forward movement of society, overcoming gender discriminations and other hurdles. Despite the fact that women’s empowerment takes the centre stage of sustainable development, they face discrimination in different aspects of their lives, one of which is wage discrimination. Even in the United States, women working full time in 2015 typically were paid just 80 percent of what men were paid, a gap of 20 percent. The same can be found in Bangladesh where women get 21.1 percent less hourly wages than men, according to a recent study by the International Labour Organisation. 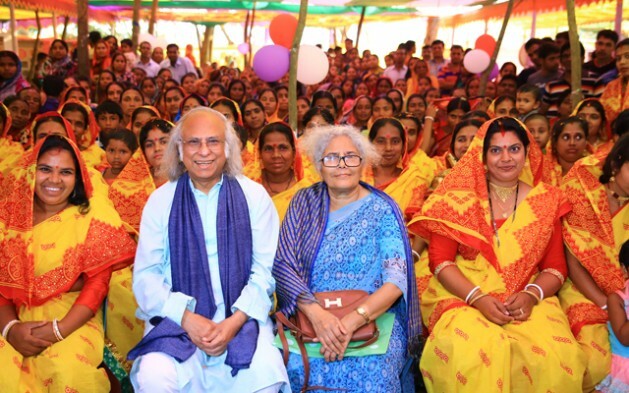 Bangladesh has come a long way in empowering women and closing the gender gap. Women are joining and making their mark in all branches of the development and society including education, health services, administration, banks, entrepreneurship, military and law enforcement forces, and politics. In terms of political empowerment, Bangladesh not only leads the region but also beats many developed countries in the world. The Global Gender Gap Report 2016 published by the World Economic Forum testifies to the significant progress women have achieved in Bangladesh. The Report that covers 144 countries ranks Bangladesh 72nd with an overall score of 0.698 (1 means parity), well above the average global score. The country leads the South Asian region in all four indicators – economic participation and opportunity, educational attainment, health and survival, and political empowerment. Bangladesh’s closest performer in the region is India, lagging 15 spots behind. What is notable is the progress made in Bangladesh in reducing gender gap over the past one decade. Ranked 91st among 114 countries, Bangladesh jumped 19 spots ahead in just 10 years, even though 30 more countries were included in the exercise this time. This noteworthy progress, along with the very significant socio-economic advancement achieved by the country in recent years, has been possible mainly because of a conducive policy environment provided by the government, and the indomitable spirits of the people of this country to move ahead against all odds and achieve changes for the better. It is also to be recognised that facilitating support at the local spaces has been provided by many civil society and non-government entities. The Constitution of Bangladesh clearly states that “the State Shall endeavour to ensure equality of opportunity and participation of women in all spheres of national life” and “women shall have equal rights with men in all spheres of the State and of public life”. The country also has the National Women Development Policy 2011 and a set of laws to prevent violence and discrimination against women and to ensure empowerment of women, and their equal rights and opportunities. In conformity with the constitutional dictates as well as the policy and legal obligations and the political will to ensure women’s legitimate progress, the Sheikh Hasina-led government introduced the Gender Budget in the 2009-10 fiscal year. Seven fiscal years later, the Gender Budget now has jumped almost 3.5 times. This amount is allocated directly to promote women’s progress in relation to various issues faced by them. But, the issue of improvement of women’s status also features directly or indirectly in various other programmes. Despite the advancements women in Bangladesh have made, they still are paid less than men for equal work, as mentioned above, and are facing violence both inside and outside their homes. A 2015 study of Bangladesh Bureau of Statistics shows that 80.2 percent women in Bangladesh suffer domestic violence at some point of their lives. Girl students account for over 50 percent of the number of students at primary and secondary levels, but their proportion at the tertiary level is now around 40 percent. Though more women are joining the mainstream workforces in the government and corporate sectors, their presence in the top echelons is not yet very encouraging. Harassment of women and girl students in their workplaces and educational institutions respectively, and child marriage, remain major challenges. The Palli Karma-Sahayak Foundation (PKSF), which is a government-established foundation, has been trying to empower women in terms of human capability as well as economic and social opportunities. It currently offers financial and non-financial services to over 10 million households or about 45 million people throughout the country. An intensive and integrated multidimensional poverty eradication and beyond-poverty sustainable development action programme is being implemented in 150 unions (the lowest administrative unit) across the country, covering around 4.5 million people, half of whom are women. Previously, women were often used as conduits for borrowing money from microfinance institutions. But, now the PKSF ensures that women play important roles in the management of financial and non-financial services they avail from the PKSF-POs (Partner Organisations of the PKSF, NGOs through which the PKSF implements its action programmes) under strict PKSF supervision and monitoring. These women are thus getting increasingly empowered in their families and in society. The PKSF also focuses on education of girls and campaigns against and actions within its capacity to reduce child marriage, harassment of girls and women, and violence against women, and also for the recognition of women’s household chores as economic activities. Since empowerment of women is at the heart of the SDGs, it is of paramount importance that Bangladesh makes bolder moves to end all forms of violence and discrimination against women and girl children. ‘Be Bold For Change’ thus seems to be an appropriate slogan that has been picked for the International Women’s Day 2017, a day the world observes on March 8th every year. On this occasion, Bangladesh must renew its pledge to step up efforts to make this country a better place for women, take bolder stances to effectively address the persistent bias, inequality, and violence faced by women, and forge women’s advancement, celebrate their achievements, and champion women’s education. 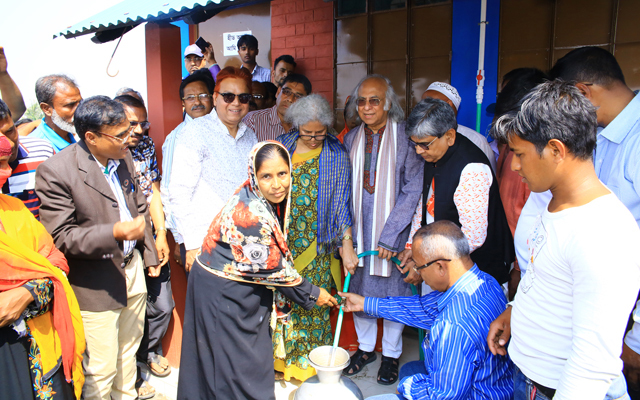 I firmly believe that men and women in Bangladesh together will lead the country towards sustainable development in a balanced manner with no one left behind, where everyone will live in human dignity, overcoming all odds. The article was originally published by Inter Press Service (IPS) on the occasion of the International Women’s Day 2017.